Braces use constant, gentle pressure, which over time move teeth into their proper positions. Your braces are at work every moment of your orthodontic treatment. 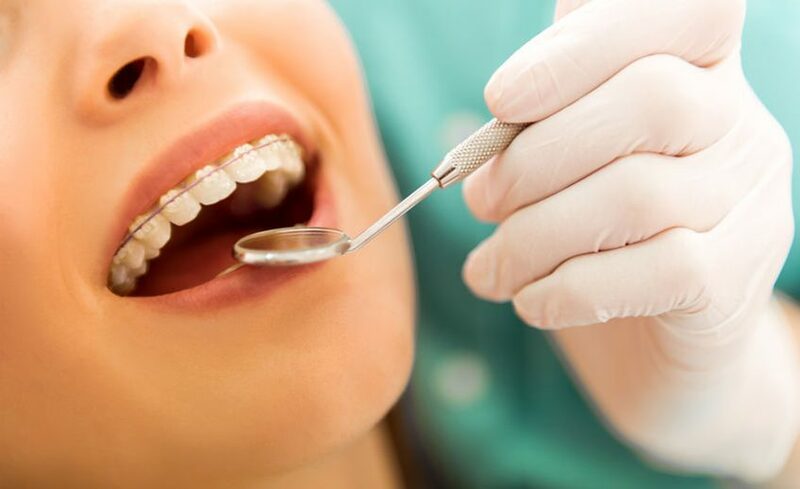 The two main components of your braces are: the brackets that are placed on your teeth, and the main arch wire that connects them. The bracket is a piece of shaped metal or ceramic that we affix to each tooth. The arch wire is bent to reflect your teeth’s ideal position. The wire threads through the brackets and, as the wire tries to return to its original shape, it applies pressure to move your teeth. Picture your tooth resting in your jaw bone. With pressure on one side from the arch wire, the bone on the other side slowly gives way. The tooth moves. New bone grows behind. Attached to your braces, elastic ties (small elastic bands) exert the proper force that creates the right amount of pressure to move teeth. Removable elastic bands may also be required during treatment. These achieve movement which cannot be done by the wires only, such as correcting the bite and closing space. To keep treatment moving along braces are adjusted every 4-6weeks. At these appointments the elastic ties are changed and different arch wires are placed when required.